We can't wait to see everyone again next year! The 24th Mirion Training and Benchmarking seminar is now behind us, and what a seminar it was! The 2014 Mirion Seminar was the best we’ve had yet, and we have all of our customers and partners to thank for it. Since the first seminar in 1990, the goal has been to provide a forum for our customers to get hands-on training from experts. It also provided a setting where they could communicate directly with their counterparts at other facilities about pressing issues they face and how others have dealt with them. Over time we’ve evolved this, adding speakers, breakout sessions, CHP credits, etc, but the core goal of quality training and a free exchange of expertise has remained. And this year was no exception. We had excellent and informative presentations, starting with a new take on the aftermath of Fukushima, courtesy of Captain Benevides of the US Navy. We also had Battelle’s Michelle Johnson giving us a breakdown of the DMC 3000’s type test results. 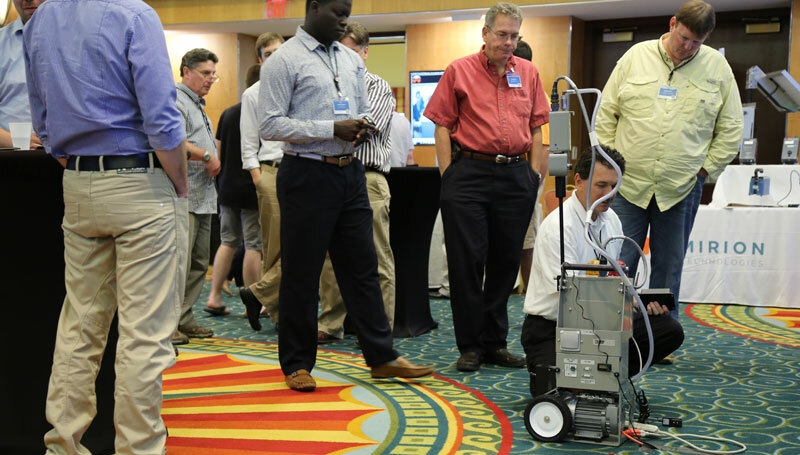 Other presentations included a variety of industry experts and nuclear power plant representatives, speaking on everything from telemetry applications to dosimetry standards. The training and breakouts included some standbys like dosimeter training, telemetry fundamentals, and instrument repair, along with some new offerings like calibrator setup and operation. One of the most talked about turned out to be the second annual Source Safari. Attendees were put into teams, armed with new, sophisticated detection & identification equipment and a series of scenarios detailing loose radioactive material, and asked to locate and identify the sources involved. 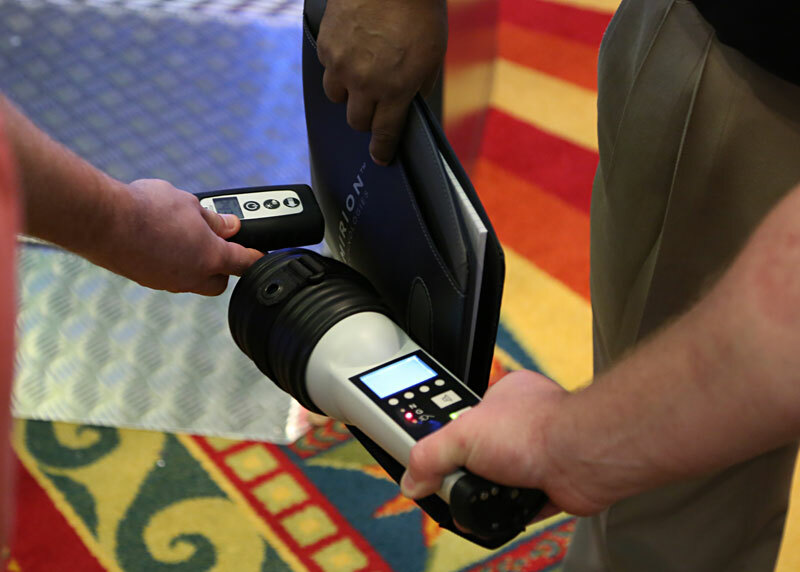 As a breakout session, it was only 90 minutes, but putting the meters in the users’ hands and turning them loose proved to be an effective way to showcase and educate. And, everyone got a t-shirt. Overall it was a great show, and it was only possible with healthy and energetic participation from our attendees, exhibitors, and our own Mirion team. We welcomed a couple of new exhibitors, iRobot and Silflex, and they proved to be welcome additions to the conference. The RMS division also had a banner year, with a lively turnout and participation in their classes and round tables. In fact, the most frequent comment made from their attendees has been to add even more content. Not a bad sign when the biggest complaint is “we want more”. It wasn’t all classrooms and presentations, though. At our welcome reception Monday evening, everyone had a chance to mingle with colleagues, counterparts, and customers alike. Some people were even daring enough to take to the stage for a little karaoke entertainment. We hope that everyone had a great week, and we look forward to seeing you next year at a very special, 25th Mirion Technologies Training and Benchmarking Seminar!